“We didn’t have FLoW five years ago. We sat together with about 15 freshmen and decided that something needed to happen. Not much later, our first board was established. Incredible how fast that happened. That was certainly not the case for everything that happened after that. We had to clean up the mess that previous associations had made. Sloppy paperwork didn’t make that work much easier. The trust of the faculty, the older students and the bank was very limited. But this time we hoped that everything would be different. 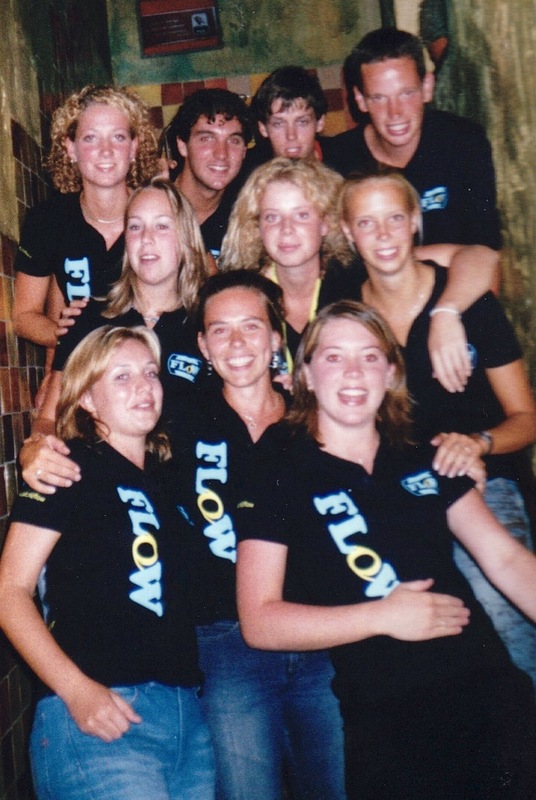 We worked very hard to make the name of FLoW more known, we gained trust, we tried to recruit new members and we gained some sponsors. To build something from scratch is very difficult. Almost 5 years later, we not only look back to the creation of FLoW, we also look back at our very first moment of love together. We, the first chairman and secretary, also have our first lustrum. Maybe, the successful continuation of FLoW is linked to our relationship. That would be very symbolic and beautiful. We often think back to our early years. Creating a study association, together with being a freshmen at the university and falling in love, is a tough combination. How did we manage to survive? We have no idea. Probably, by just working hard. We are now both graduated. Degrees, memories and proudness is what we still have left from that period. Proud, because FLoW is still growing. Memories, because that is probably the most important period of our lives. At the 4th of December, we would like to propose a toast to five successful years of FLoW. But after our period at Tilburg University, a new adventure awaited us. And that adventure was called Barcelona. That’s the place where we live at the moment and were we try to convince the Spanish people that decent communication is crucial. And that’s not easy in a different language! A new chapter, just like FLoW was, five years ago. We wish the current board the best, but just to be sure, we will stick together, just to preserve the symbolic meaning. And ehh.. board.. who knows what we could achieve together ;-)! From Barcelona: Cheers to our first five years!